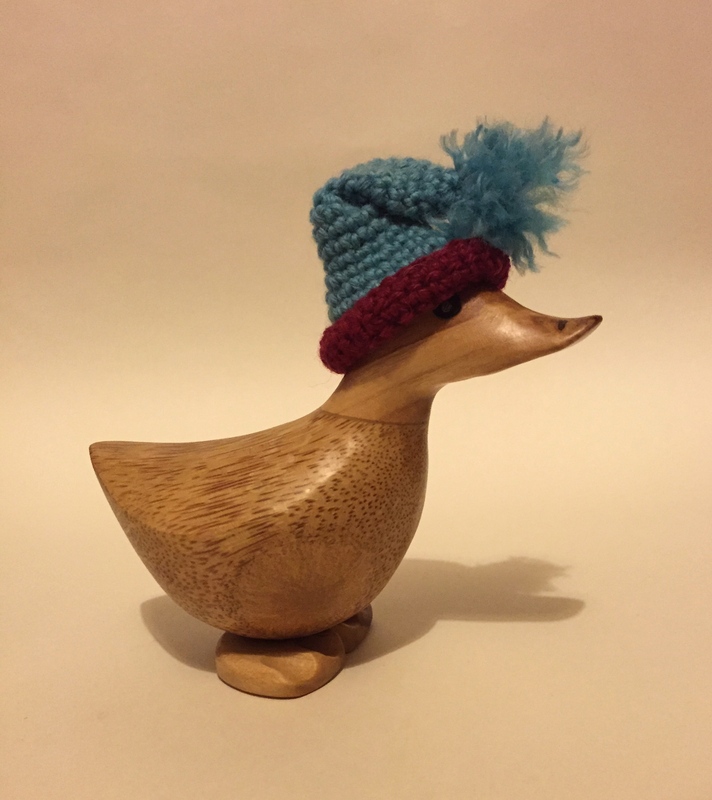 I have a couple of wooden penguins and ducks that I wanted to decorate this Christmas, as normally they are left bare and I think its about time they received a bit of Christmas joy! Obviously, these are made to measure for my own ornaments but they can easily be modified to fit any small item. 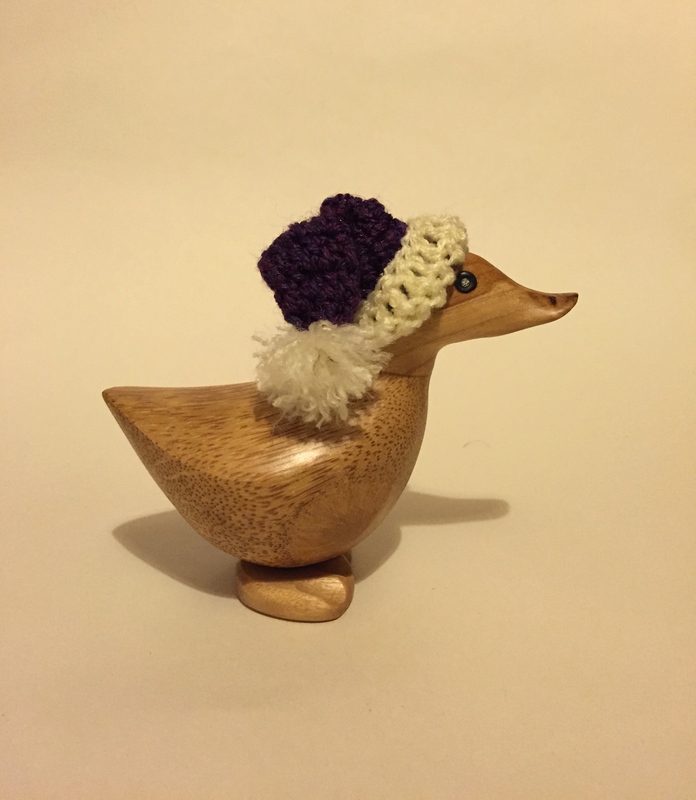 I chose purple and white for this hat and it is made up of dc (double crochet) stitches working in rounds. Turn up bottom of hat. I choose a teal green and red colour for this hat, perfect for an elf! Start with the teal green. I chose purple (slightly darker shade) and white for this hat to match up with the penguin purple hat. This hat was completed used trb (trebles) rather than dc stitches. I think all three hats look really good and will look great once all the other Christmas decorations are up. 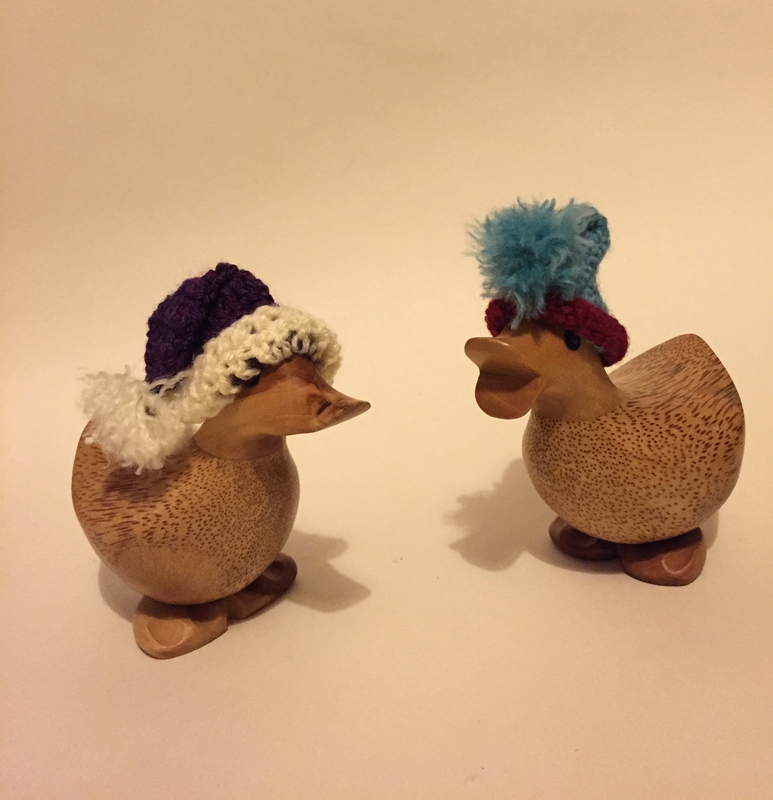 I might even make some scarfs to go with their hats!